Home > News > LET’S DO IT EVEN IN A RAIN !!! LET’S DO IT EVEN IN A RAIN !!! Yeah! We arrived in Tokyo ! Our vacation has started ! We are so excited ! The weather forecast is saying that tomorrow may be rain in Tokyo. 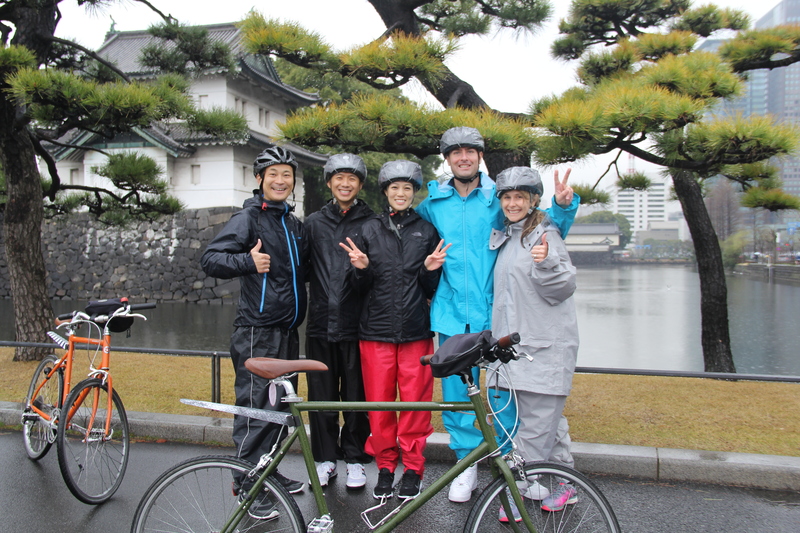 We, Tokyo Miracle Cycling Tour doesn’t cancel cycling tours due to a rain. We prepare all types of raingears and our guides are ready to get wet !!! If it’s rain, what are you doing ? The answer should be “CYCLING” ;) !!!!!!!!!!! Cycling in a rain is… surprisingly… great !!! Just come and join us ! If you decide not to come to cycling tour due to a rain, then, what are you going to do ? Doing cycling is better than that ! Because you are in Tokyo, not at your home. Those things can do anytime in your home, so doing something special. Rainy Cycling Tour must be unforgettable & memorable things in your trip ! 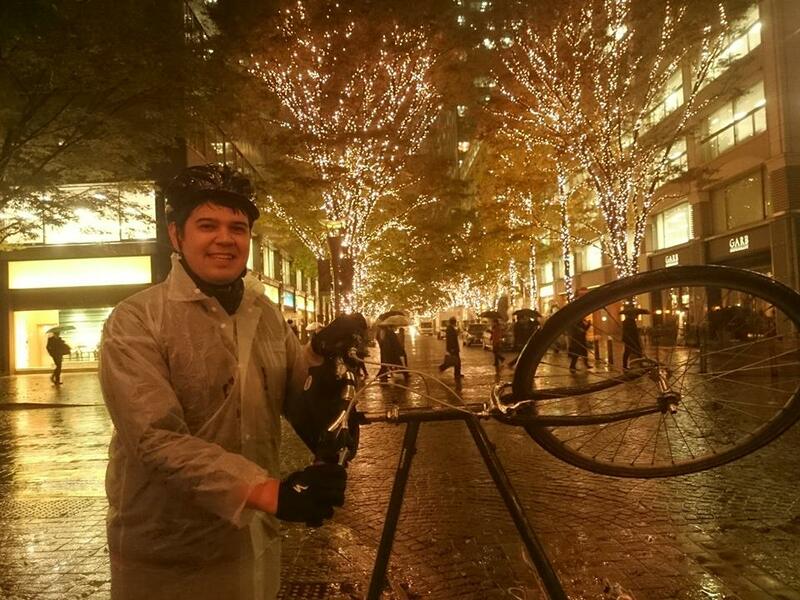 Wearing raingears corps are making line and going around Tokyo by bike in a rain. Moreover, there is you. The funny bike corps are including you. We will not spoil our guests. Completed by yourself is important.